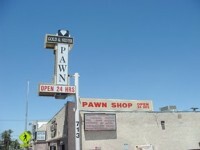 “Hollywood” in Las Vegas has included over the years: the Pawn Stars and The Star Trek Experience. Jump over to Dalinka.com more photos of Las Vegas, NV. “Hollywood” in Las Vegas. 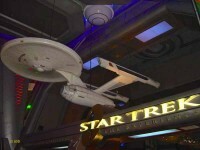 Based on the Television and Movie franchise, Paramount Parks (and in its final years, Cedar Fair) presented the Star Trek Experience in Las Vegas, NV at the Las Vegas Hilton from 1998 until it closed in September 2008. July 1, 2010. Las Vegas, NV.